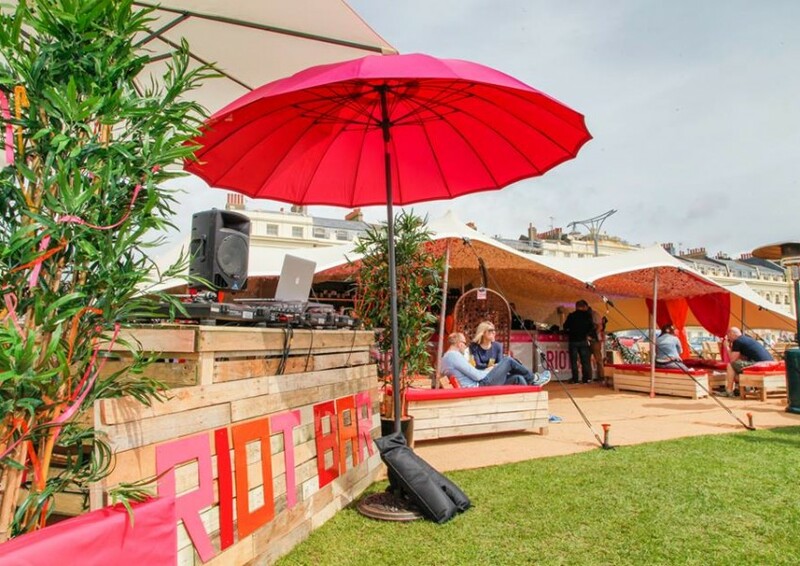 Event & Wedding Furniture Hire…available now! 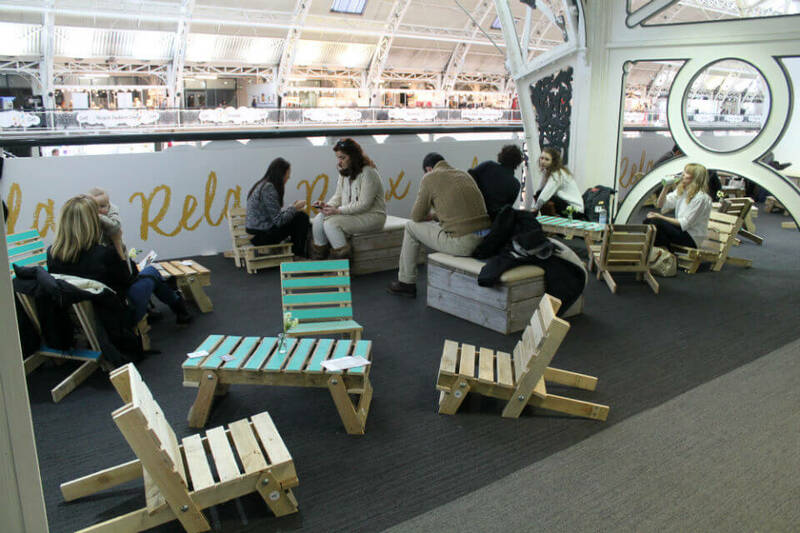 After our successful outing at Bubble London ‘15 earlier this year where we provided a number of our folding Pallet Chairs, Pallet Tables and 3 person benches for the 3 day event at the Business Design Centre in London, our furniture is now available to hire for any event, however big or small! 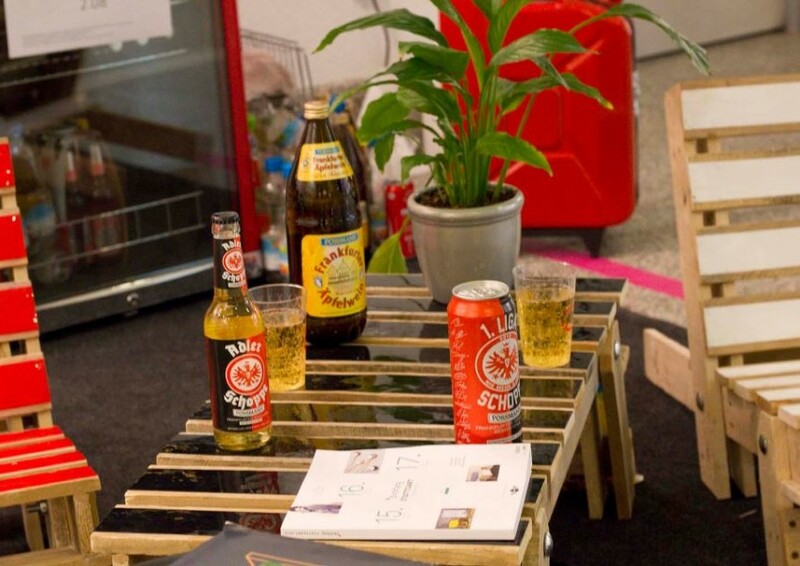 The folding Pallet Chairs & Tables are comfortable, light and and extremely sturdy. The timber used is strong, robust and can be left outdoors for long periods of time (we believe they are indestructible!). This means the chairs and tables are perfect for large and long outdoor public events. They are also low to the ground, making them great for lounging in the sun or enjoying drinks and a picnic with friends. On top of all this the chairs and table can be folded flat and stacked on top of each other. This means they can be easily transported and stored away. 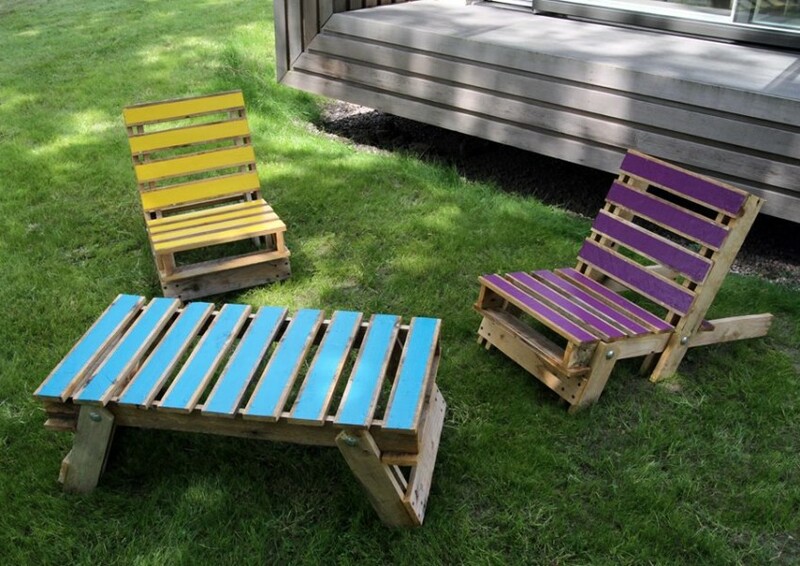 Our pallet benches are beautiful rustic pieces that seat 3 people. 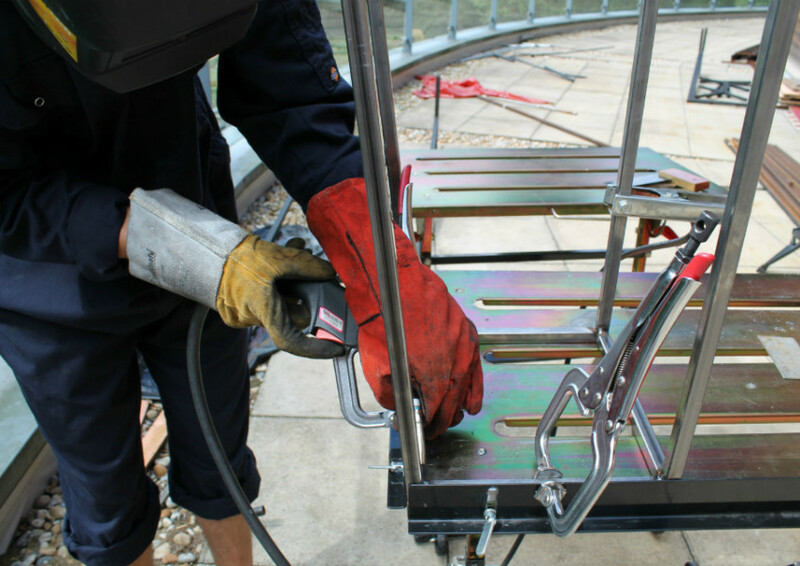 The ‘tunnel’ style design makes are different from any other hire benches available. They are extremely robust and heavy duty and can stack easily. 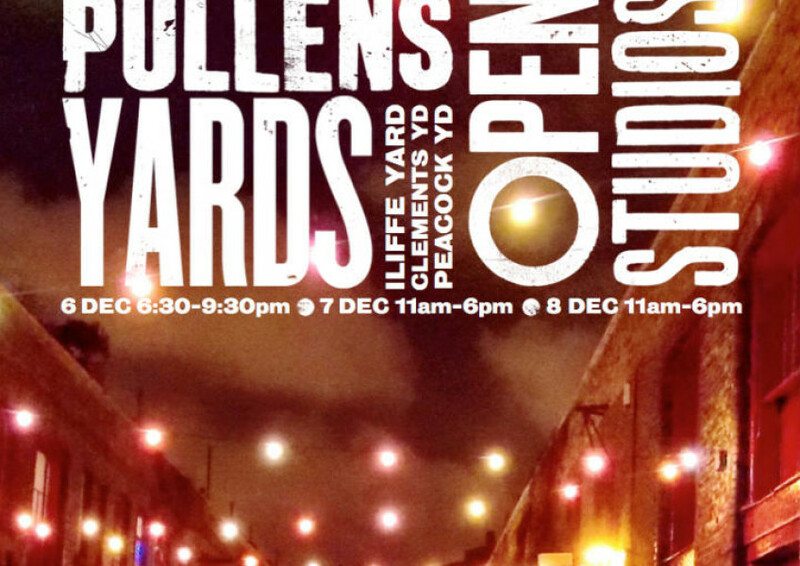 Gas&Air Studios ventures into wedding furniture hire..! 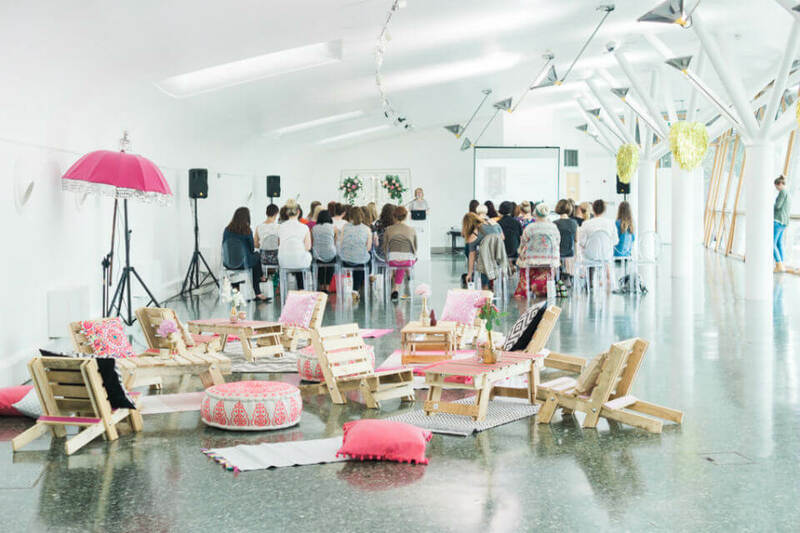 Recently the Chosen Wedding Collective used our Pallet Chairs and Pallet Tables at their London based event ‘The Hub’. 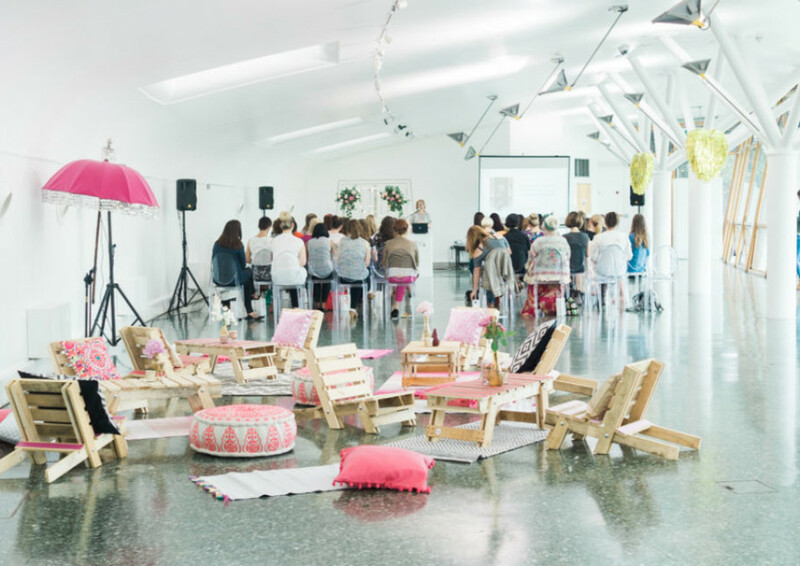 The Hub, held at The Arts Pavillion in London is an event where professionals from the wedding industry can meet, share ideas and learn. 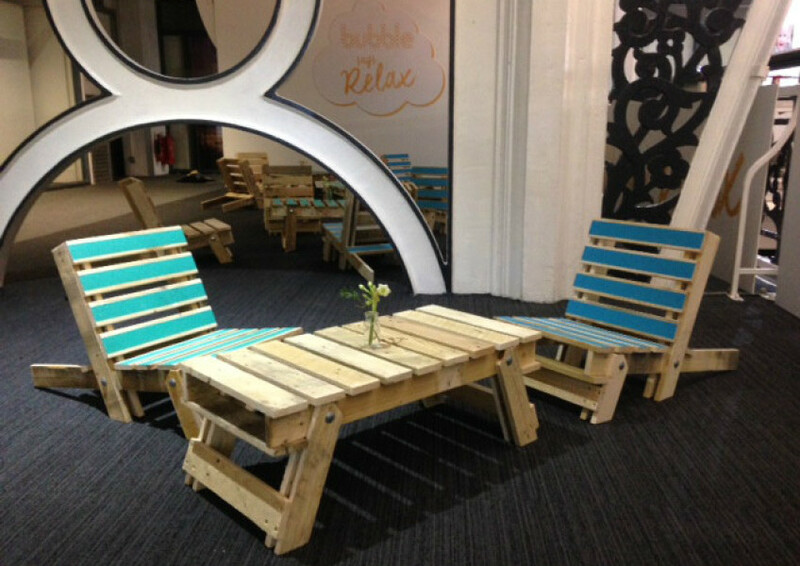 Our furniture was used by Curious Fair in the styling of the event in an area where guests could relax and chat. 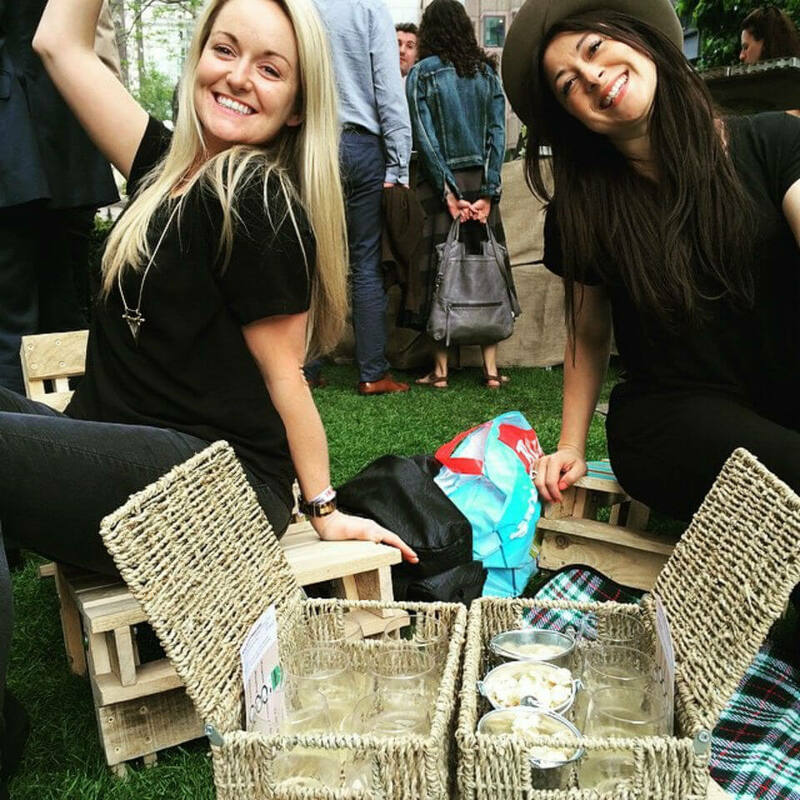 One van, 25 chairs and tables and heft load of benches, Bubble London was a big and exciting project for us to kick-start the year! 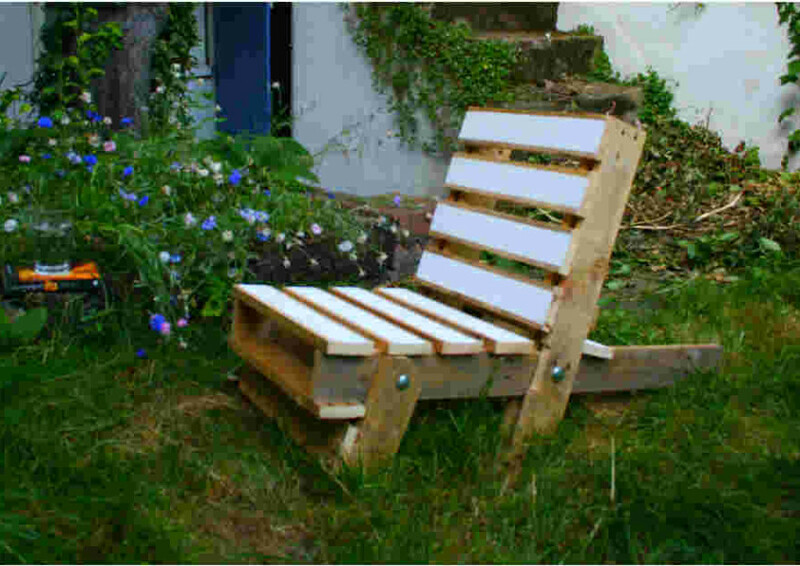 Sloping Pallet Timber Stool…the making of! As a small company we try create beautiful handmade furniture by combining a contemporary, industrial style of design with reclaimed and rustic pallet timber and with out latest design we have attempted to achieve this. The Sloping Pallet Timber Stool is our boldest piece of furniture to date and is more experimental then anything we have designed before. 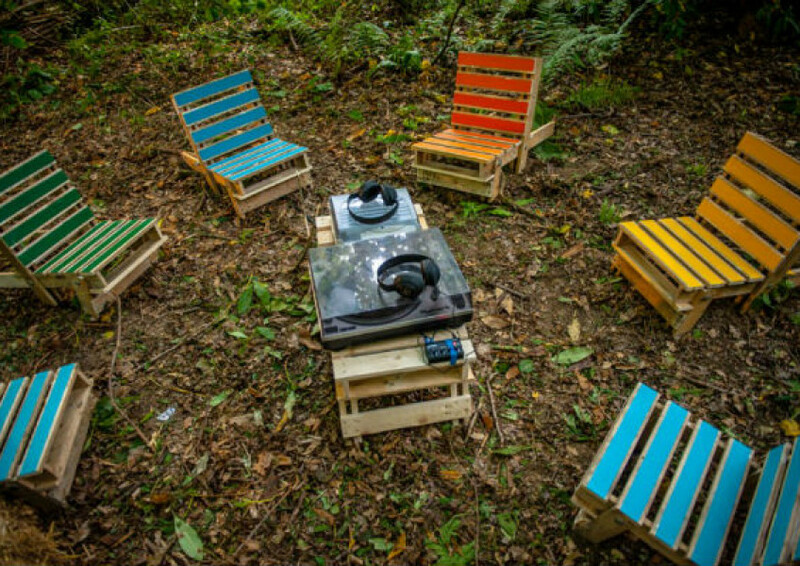 After a successful 2013, in which our Pallet Chair & Table were featured at the eco-houses from Dwelle, Manchester and used at the In The Woods Festival in Kent, we have extended our range of pallet furniture. 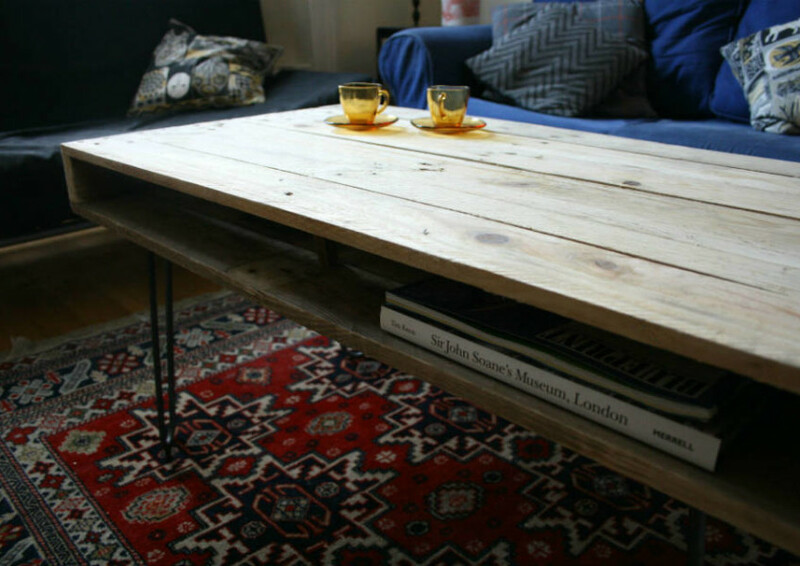 Our new designs include two styles of coffee table and a reclaimed timber stool.